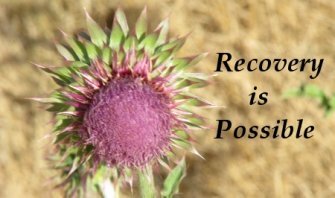 In meeting and working with Teen Addiction recovery patients over the years I have found that one of the most important aspects of their recovery is having the opportunity to share their story, their life experience. Teen Addiction stories don't often have a happy ending but what ever the ending sharing them is helpful. A former teacher of mine is a psychotherapist, who always talked to us about getting to the "essence of self" when helping people tell those all important Teen Addiction stories. It is the essence of self that drives the person's perceptions and creates meaning in life. Your Teen Addiction stories are important. You are not alone and maybe there is someone who will benefit from you sharing your experience. We encourage you to gather your thoughts and share them with us. Here are a couple of Teen Addiction stories that describe the process of recovery. We’re hoping that you will share your stories with us as well so that others can learn from your experiences. Many people tell us that it helps them to read others drug addition stories because they understand what they've gone through a little better. Many times therapy sessions are simply a place where people come and share their Teen Addiction stories. You may find that sharing your Teen Addiction story anonymously is the first step toward dealing with Teen Addiction. My name is Robert. I’m 16years old and I am a meth addict. I was born 3months early 1lb 13oz. My mom is a heroin addict and my dad is in prison. Now I’m 16 and I’ve been to 5 rehabs. I’m in the John King Recovery House in Mt. Vernon. I have 105 days clean I’d like any support I can get if you read this send me a letter or something. Thank you for reading. Where so start? My son is 21 and is an heroin addict. He is in another treatment center, hopefully his last. Why will this one be different? Because I am now done. I love my son more than anything and have done more harm than good, by ignoring the fact that he was addicted. What addicts don't know or care about is the effect it has on everyone around them. We walk on eggshells when they are high, we hide our stuff because they will steal it, they blame us for their life sucking, but yet they drag us into their addiction and their drama and the craziness of it all. Why do we do it and allow it? Because we love them and we think we can fix them, because maybe we didn't parent the right way and made mistakes? Can't allow him to destroy me! I only know that it will never end and I can't allow his choices to destroy my life, I sound kind of selfish by saying that, but yet I watch him die day by day, what kind of mother does that make me? He has made bad choices and all I can do now is pray and support his recovery. He is in a great treatment center, not the typical hospital setting with Dr.'s and counselors that do it for a living, but a place where the doctor is a recovering heroin addict and is an all male group setting. He lives there and has now committed to 6 months there. I am hopeful he stays but not holding my breath yet. But I do drive 3 hours once a week to go to family support meetings, it helps him and me, and let's him know this is his last chance with me, I can open up there and say what I need to and leave knowing that he has people there that can relate and can help him through it, but he always knows I love him, I can go on forever but I am running out of room. I too am a mother of a 22 year old recovering heroin addict, and it has been a difficult 5 year journey. He has been in rehab a few times, outpatient therapy and a 1/2 way house. He has currently been clean for almost 6 months now. We are still battling legal issues from a drug induced incident. You are doing the right thing. Letting go of him a bit is the best thing. He has to take ownership of his addiction-not you. I'm not saying it's easy.. We have had to lock our son out of the house, etc. I cried for days, but again, he needed to know that his problem was not our problem and we would not allow it to take over our household. Stay strong and know you are doing what's best for him and you! As difficult as it may seem, you are doing exactly what you need to do and it's what your son needs to get better and return to a healthy lifestyle. I am so pleased that you have found a treatment center that not only addresses all of the medical issues, but is dealing with the complete person. Your three-hour drive is worth it, especially when you keep your eyes on the prize and look to a bright future. It would have been much easier to just enable him and watch him die, but you took a positive and productive action. Call it tough love, but I call it life saving love. Well done.